The flats are located in old buildings, which were modernized in the 80s and allow individual living in groups of 3 - 4 people. 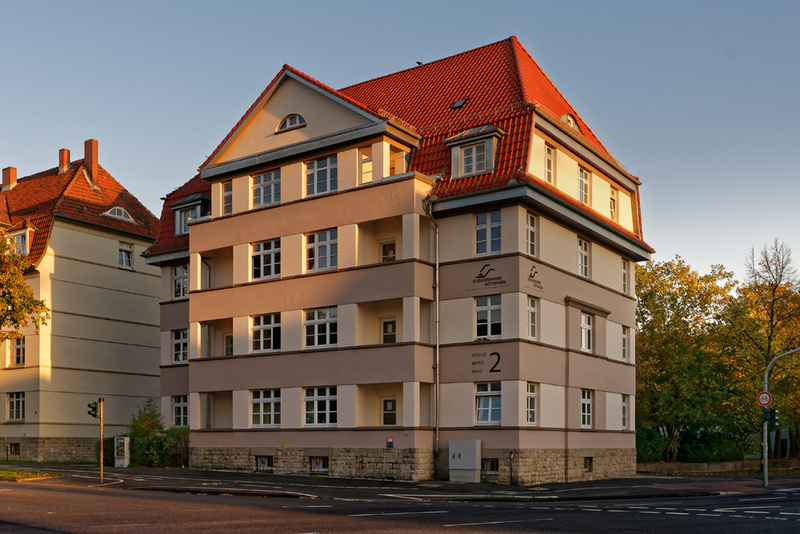 The convenient location must be emphasized, because the Kreuzbergring is located in the immediate vicinity of the campus and the central canteen. The city centre can be reached by bike in 3 minutes. The flats are unfurnished. The kitchens are mostly equipped with a kitchenette. All flats have an internet connection.